Be creative with your drinkware and design a durable Visstun®-17oz-Reusable White Plastic Cup-Full Color that people will keep in their kitchens for use again and again! 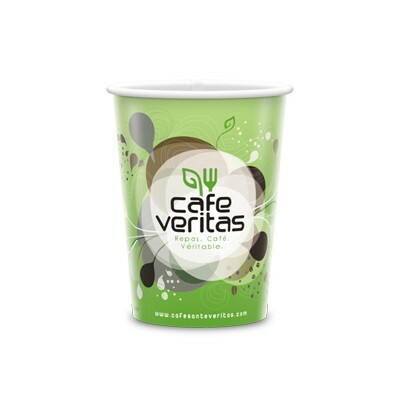 17 oz.-Reusable White Plastic Cups in High Definition, full-color print. Great for meetings, events, seminars, trade shows, picnics - any promotion where you need to reach beverage drinkers. Our Visstun®-17oz-Reusable White Plastic Cup-Full Color are quality reusable promotional gifts. Ditch the Styrofoam cups and provide reusable cups made of durable plastic, ideal for company picnics, BBQs, events, and fundraisers. Wrap the cup in full color with your business logo, photos, or other collage. Made of 18-20 mil thick polypropylene, these plastic cups can be taken home and reused again and again. Be creative with your design for on the large canvas cup that clients, employees, party guests, and organization members will be delighted with at your next event!